Fujifilm's FinePix JX580 camera may look like a tempting option, as it has 16-megapixels of resolution in a camera that costs just a little over $100. However, the JX580 has quite a few significant drawbacks -- even for a camera in its price range -- that are going to leave photographers who own this model frustrated with some of their results. Even if you're just looking for one of the cheapest cameras you can find, it's tough to recommend this model. It will create very nice photos on occasion, but it simply isn't consistent enough, even for a budget camera. Only the most basic beginning photographers will want to consider this camera. Read more in our Full Conclusion. For those who are on a limited budget, but still crave some higher end 2012 features, FujiFilm has created the FinePix JX580. This ultra-compact digicam boasts a simple, easy to use platform that's very affordable ($120 or less), however it still gives you some appealing specs. These include 16-megapixels of resolution, a 3.0-inch LCD screen, 5x zoom, and a host of fully automatic exposure modes - like SR (Scene Recognition) Auto. Keeping it affordable does mean you'll lose out on some features, like full HD video. However, you can shoot 720p HD video, and the camera does offer an Easy Web Upload option, allowing you to quickly upload photos to your facebook page, etc. - a computer and the included MyFinePix Studio software is required. 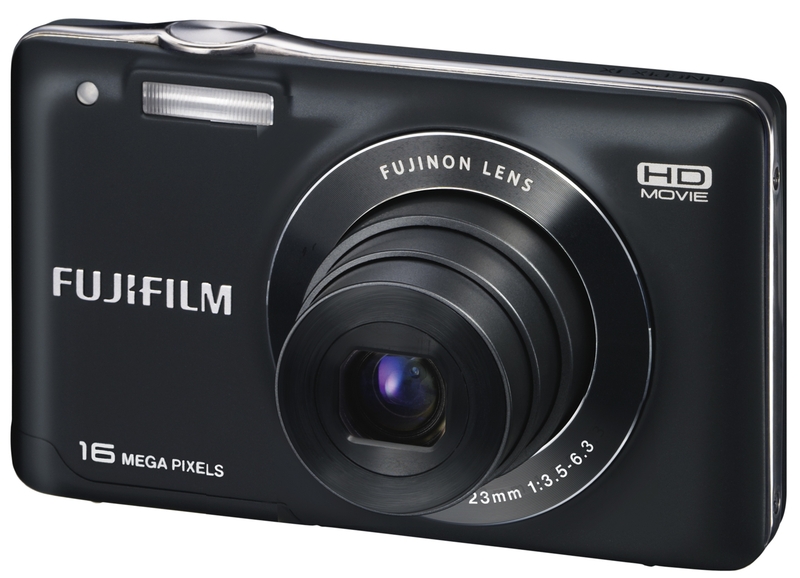 Fujifilm's FinePix JX580 sports a MSRP of $119.95 USD, and can be had in black, red, or blue. Click the button at the top right of this page to see the JX580's lowest price online, or view the buy box below.